EICT can also be reached by car via city highway A100. Please use the exit Kreuz Tempelhof. 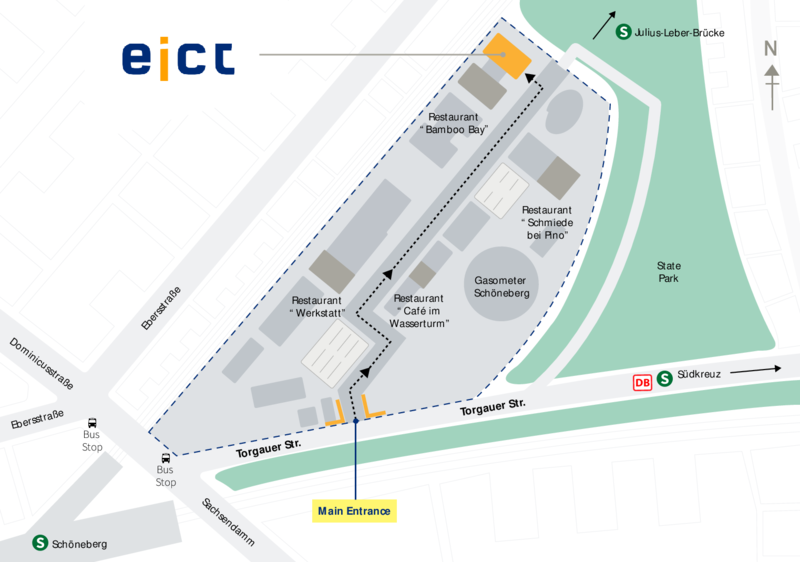 Then take the A103 / B1 towards Tiergarten / Sachsendamm and turn left at the next opportunity. After following Sachsendamm for about 300 meters, turn right onto Torgauer Straße. The EUREF campus is on the left. You can find a site map of EUREF Campus here (external link). At the Campus entrance, the porter will direct you to house 13, where we are located on the fourth floor.